Callum Hudson-Odoi said it is a "dream come true" after being called up to the senior England squad for the first time. The 18-year-old Chelsea forward only received his first call-up to the England Under-21s squad last week, but was drafted into Gareth Southgate's squad on Monday evening after Luke Shaw, John Stones, Fabian Delph and Ruben Loftus-Cheek have all withdrawn because of injury. Hudson-Odoi has yet to start a Premier League game for Chelsea, although he has managed to score five goals in 19 appearances so far this season. He will now look to pick up his first England cap in the Euro 2020 qualifiers against the Czech Republic at Wembley and away in Montenegro on Friday and next Monday respectively. 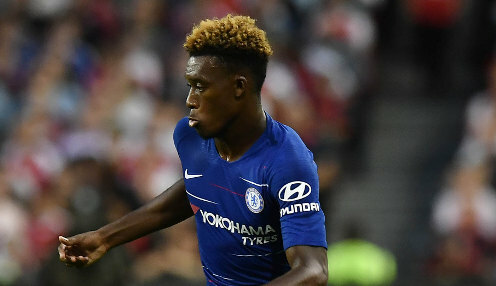 Speaking about when Under-21s coach Aidy Boothroyd broke the news that he was linking up with the senior squad, Hudson-Odoi said: "It's been a crazy experience but I'm delighted. I thought the manager was joking." He added: "I was shocked and then when I heard that I actually had to go over, I couldn't believe it. England are 2/7 to defeat the Czech Republic on Friday, while their opponents are 31/20 to come out on top and the draw is priced at 11/5.